Hey all! Welcome back to another coffee shop guide. Remember how in the beginning of the year I said I would do at least one coffee shop guide a month? Well, I totally ran out of time to post one in March! And here we are already at the end of April and I haven't posted one... where is the time going?!? Well, as to not delay this any more than it has been, here is the third coffee shop guide of 2018! 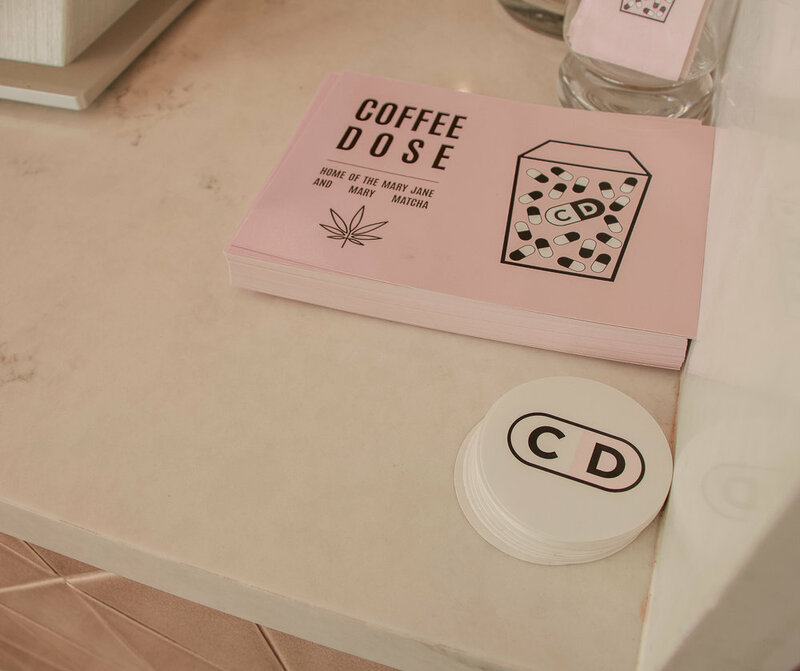 This month I was able to get the chance to visit Costa Mesa's newest coffee shop, Coffee Dose. 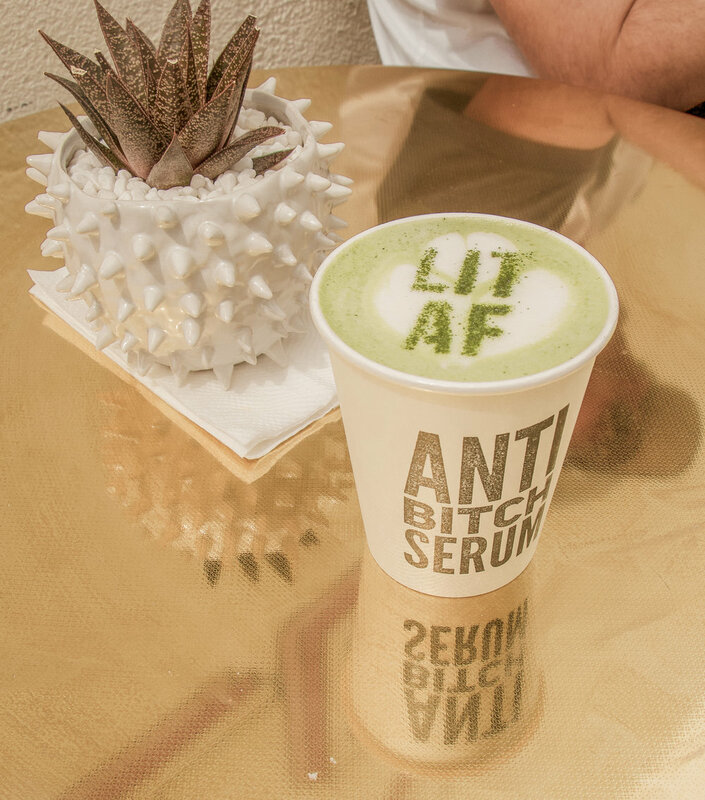 If you are a fan of gluten-free baked treats, CBD lattes, and hip vibes, this is the coffee shop for you! When I first saw Coffee Dose was opening on Instagram I was so excited! 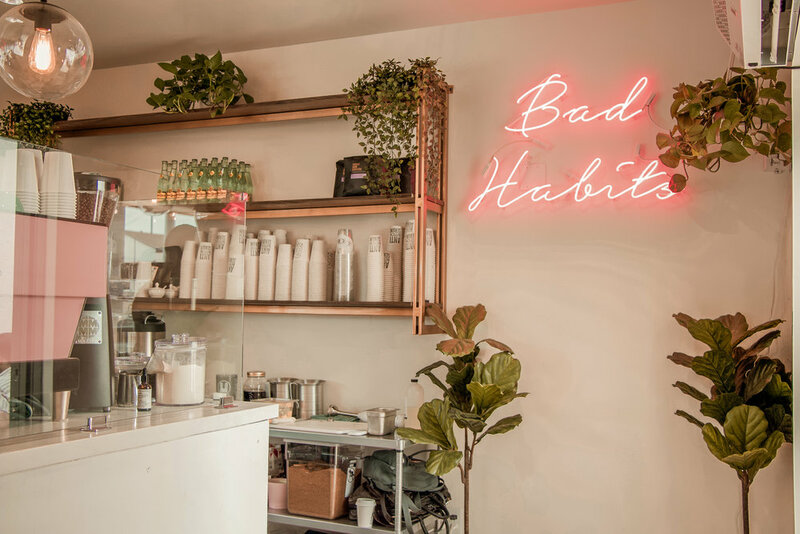 And checking out their menu got me even more excited, from their house made nut milk, being able to add Vital Proteins Collagen to my drink, & the Mary Jane (pure CBD oil with their house made nut milk). I've only had the Mary Jane at one other coffee shop - Daydream Surf Shop (which you can read my guide to that shop here), so it's great knowing that there is another coffee shop I can head to when I'm in need of it! I decided to go ahead and order the Mary Matcha Latte with their house made nut milk and ordered a poptart by Rye Goods Bakery (not pictured because it was too delicious and I devoured it in like 3 seconds). I loved how the barista asked what kind of latte art I wanted on it, it's just the little details that make a coffee shop for me ;). 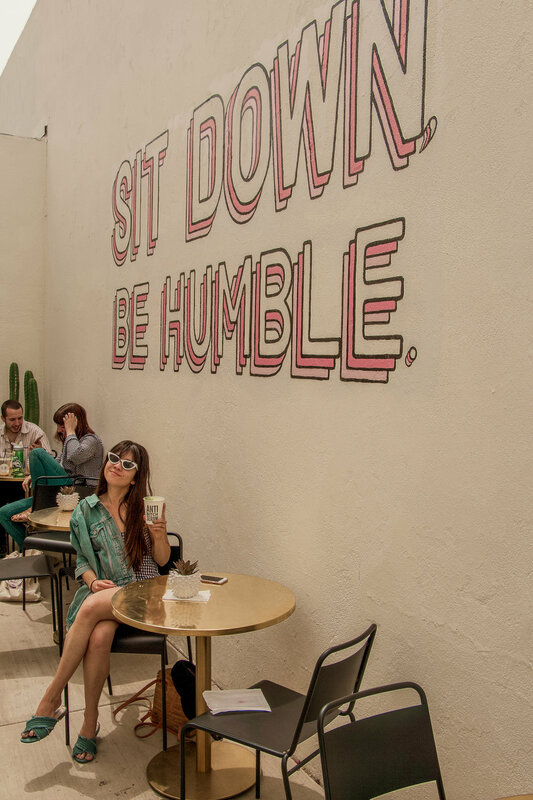 And if you have time to sit and document your visit for the gram, they have a very on trend neon sign hanging in the shop as well as a wall art in their patio that I just love. So there's my little mini guide to Costa Mesa's newest coffee shop! I already can't wait for my next time to visit Coffee Dose! For more #coffeeandsara adventures, you can check out my hashtag on Instagram and bookmark all the shops you want to visit. Until next time coffee lovers!